Cairo is the capital city of Egypt. It also happens to be the largest city in the Middle-East and Africa. No matter how much you read about Cairo, you will never be prepared for what you will experience there. Cairo is the capital city of Egypt. It also happens to be the largest city in the Middle-East and Africa. No matter how much you read about Cairo, you will never be prepared for what you will experience there. The travel industry has been the bread and butter of the city for quite a long time now and thus travelers are a common feature in the city. 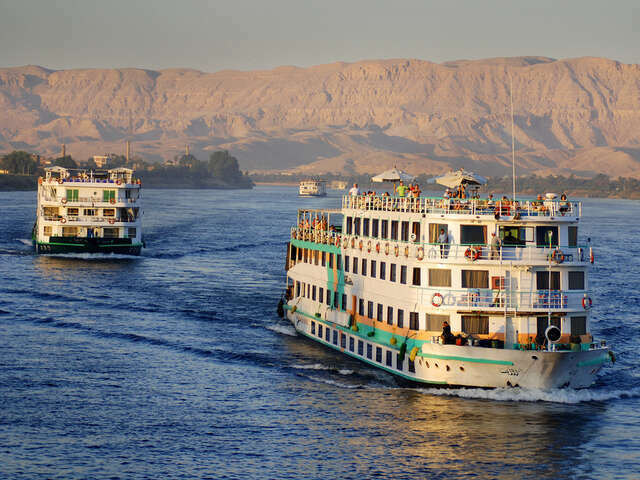 Below are some tips that will help you have a better Cairo experience. 1. If you want to sample much of Egyptian culture, it is advisable to travel alone. However, be prepared to spend a little more. Your negotiation skills can never match those of the locals. 2. Always make sure you are travelling with updated guidebooks. This ensures that you know the current changes to travel hotspots attractions as well as new rules and regulations. You do not want to get in trouble with Egyptian authority...do you? 3. Tipping generously will get you to places other travelers will never get to see. The local tour guides will go out of their way to make your experience pleasant if you 'take care of them' properly. 4. Be wary of scammers when negotiating your transport. In Egypt, there are several types of transport including; camels, donkeys, buses, taxis, caleche, horses and trains. If you do not feel like haggling for fairs, use public transport. However, this may not take you to the interior attractions. In such circumstances, you can negotiate for favorable terms. 5. When asking for directions, you are better off asking an old woman (if you can speak Arabic). However, an urbane 30 something gentleman will most probably speak some English. He is a safer bet for the traveler that does not speak Arabic. 6. Egyptian kids are friendly to foreigners. They are fascinated by foreigners and will want to take pictures with you as well as follow you around. Do not be afraid. They want nothing from you. Carrying some candies around to give to the kids will put you in their good books. 7. Egyptians will want to sell you everything in the shop. If you want something, do not show interest in it. You will just make your bargaining more difficult. 8. Egypt is largely an Islamic country. Dressing skimpily is looked down upon. This is not to say they will not tolerate you - It is one of the most tolerant Islamic countries. 9. Excessive public display of affection is also looked down upon. Holding hands is alright, but kissing in public is a no-no. 10. Crossing the busy Egyptian highways is a nightmare. Do what the locals do and you will not have problems. Egypt is an old country with a lot of world's history within its museums. If I were you, I would get a professional tour guide to show me around. You are more likely to cover more ground with a professional than alone.